According to the New York Post, When Krakatau erupted over the Holiday weekend, land from the mountain began to shed and part of the Sundra Strait collapsed into the ocean. 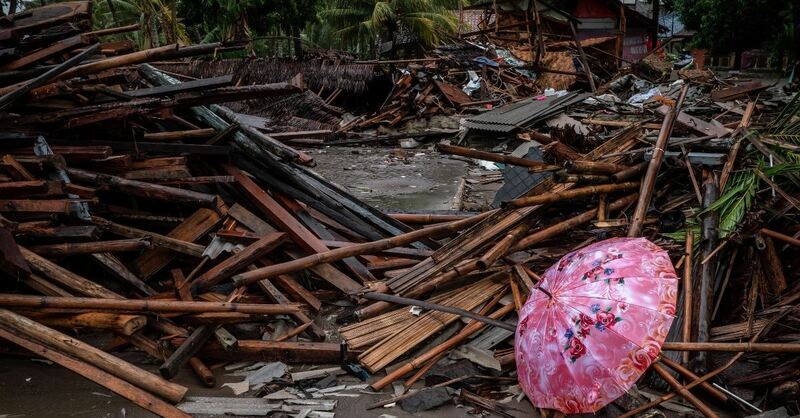 The landslide then set off tsunami-sized waves that reached heights of more than 6 ½ feet before they crashed into villages on the Java and Sumatra coasts. According to CNN, the estimated death toll at this time is 430 people with more than 150 people still missing. Reportedly 1,500 people were injured and almost 22,000 people were displaced. The NYP reports that there are likely more victims of the tragedy who are yet to be found, as search and rescue efforts have been hampered because of bad weather. While many people are mourning the loss of their loved ones and homes, scientists are warning citizens to stay far away from the coast. According to the NYP, there is a significant risk being posed by the possibility of a second landslide. Scientists suspect that another landslide could trigger a second tsunami. According to CBN News, the Anak Krakatau volcano alert status has been raised to the second highest level and the government is encouraging communities in the strait to stay at least 500 meters and at most 1 kilometer from the coastline. The tsunami struck without any warning, and meteorologists in Indonesia are now monitoring Anak Krakatau to prevent any greater loss of life.